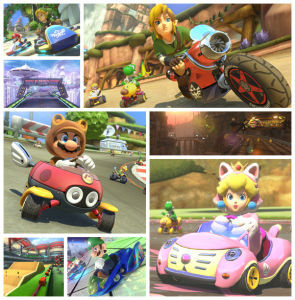 Mario Kart 8 DLC spotted on the UK Nintendo website! As a bonus for purchasing both packs - as a bundle or separately - you can get eight different-coloured Yoshis and eight different-coloured Shy Guys that can be used right away. I think it's great to see Nintendo supporting their products with DLC. I'm sure the quality will be there but the time for releasing them is crazy. There's no reason (from a development perspective) for it to take so long. That said, they've made a lot of people very happy! Tanooki Mario will be mine! Yes! 16 courses! I'm guessing a lot will be classic courses but it'd be great to have loads of classics in the MK8 engine anyway. I've not been excited by DLC this much before! Look at that f-zero car/track! Both £7 add-ons are now available to pre-purchase (and you can save money by getting both together in a bundle for £11). Buying them early unlocks eight different coloured Yoshis and eight different coloured Shy Guys for use right now. £11 for 16 new courses alone would be a superb deal as far as I'm concerned. The other stuff is pure gravy. It also paints a positive picture for future Nintendo games in regards to patching in the option for DLC. A lot of people were dubious Nintendo would update MK8 to allow such opportunities. There's also a stats page which reveals some scary details about just how much I've played this beast of a game. I'm going to say it but take with a pinch of salt ... best Mario Kart to date? Every game night seems to get better and better, hopefully this DLC will give you a good reason to keep at it. If anything, I like the self chosen route of giving the game a rest until the next game night but when that night hits it's bliss. I'll be getting the whole package but without a community to back it up it's not half as appealing as it should be. Keep the dream alive Darren (and obviously a huge thanks for making that magic happen by setting up the widely successful game nights without which I'd care a lot less about the game)! Only slightly! This game does need freshening up and this is the perfect way to do so. I cant wait for the game nights and I won't be stopping anytime soon! Thank you for the kind words! I've been on the edge of getting an XL for a long while but this looks like the jumping off point. Lol, was just thinking the same thing. Not going to be out in Europe this year. Looks nice! I'd be tempted to trade up IF Nintendo also overhaul their online experience (tie purchases to your account rather than your console etc). Having said that, why oh why didn't they just put a second stick on there to begin with? Seems like a no-brainer to me. Flabyo wrote: Not going to be out in Europe this year. Of course the counter argument to this is also that there is time to build up hype and build up a small library of games which play exclusively on this 3DS before it gets to us. Naturally this would require Nintendo's marketing guys to be on the ball. 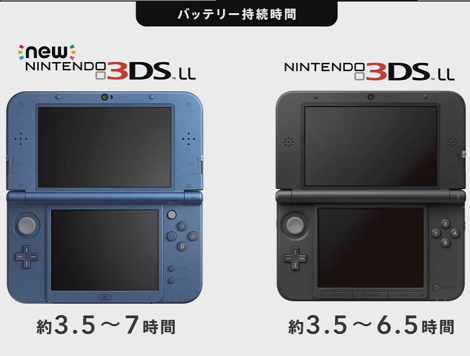 Maybe they should have done more to differentiate this "New" 3DS, at least with the name. Like what the Game Boy Color is to the original Game Boy. Perhaps people wouldn't have felt like it was fragmenting the userbase so much in that case. To make it feel more like an update with backward compatibility than simply a slightly tweaked version that feels like a middle finger to existing owners. Saints IV getting a rerelease on PS4 and Xbox One. Is it me or are these getting lazy now?